The Nigeria military on Monday said at least 15 persons including a soldier, were killed and about 83 others seriously injured on Sunday night during hours of battle to wade off a large number of armed suicide bombers trying to invade Maiduguri the Borno state capital. Soldiers on guard at the outskirts of Maiduguri also gunned down six armed Boko Haram gunmen and seven suicide bombers during the attack, bringing the death toll on both sides to 29. Residents of Maiduguri were forced to keep vigil all Sunday night following hours of thunderous explosions and shootings that rented the air till early hours of Monday. The military said Boko Haram suicide bombers and gunmen attempted to invade Maiduguri through the outskirts of Bille-Shuwa and Alikaranti villages. The spokesman of the military at Operation Lafiya Dole headquarters, Maiduguri, Onyema Nwachukwu, a colonel, said the attackers would have made it into more crowded areas of Maiduguri had the troops deployed along the attacked axis not repelled them. Survivors of the attack told PREMIUM TIMES that most of those killed in the suicide attack were youth who were at a viewing centre when the suicide bombers infiltrated them as they were fleeing upon hearing gun shots between soldiers and the Boko Haram fighters. “The gunmen came with the suicide bombers, and as they were engaged by soldiers, some of them sneaked into the confused fleeing crowd and detonated themselves killing about 15 people and over 80 others,” said Momodu Bukar, an operative of Civilian-JTF. 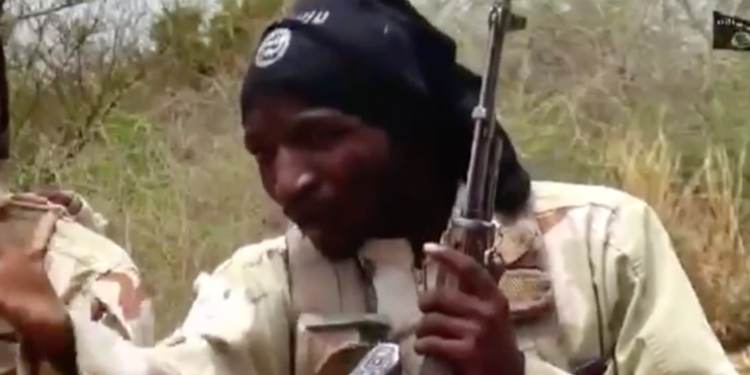 Mr. Nwachukwu said the attackers were on a mission to carry out major attack on Maiduguri. “Troops of Operation Lafiya Dole deployed in the Cashew Plantation around Bille Shuwa and Alikaranti villages have quashed an attempt by Boko Haram terrorists to penetrate Maiduguri metropolis yesterday at about 8.10 pm,” he said. “The insurgents met with stiff resistance of troops who killed 6 of the insurgents and neutralized 7 suicide bombers in the encounter. The troops also recovered 2 AK 47 rifles and 2 Magazines. “The Nigerian Police Explosive Ordnance Disposal team have detonated two IED vests recovered from the killed suicide bombers Beaten by the troops and unable to force their way into the metropolis, the insurgents retreated and callously resorted to attacking locals who, reacting to the encounter were fleeing in confusion from Bille Shuwa and Alkaranti villages with Person Borne Improvised Explosive Device. “Sadly, 15 persons including a soldier have so far been confirmed dead in the encounter, while about 83 persons who suffered varying degrees of injuries are receiving due medical attention. Troops are still on the trail of the insurgents. More details will be communicated as further clarifications are made. “Meanwhile, a 14 year old Boko Haram insurgent Rawa Babagana has surrendered to troops of Operation Lafiya Dole.The insurgent escaped from the Boko Haram enclave in Kekeno in the northern fringes of the Lake Chad Islands. He is currently been profiled. “It is clear that the remnants of the Boko Haram Terrorists are hell bent on remaining relevant by attacking soft and vulnerable targets and therefore calls for collective vigilance by all security stakeholders and members of the public. Members of the general public are therefore urged to be watchful and discern strange persons and suspicious activities in their communities and report to the security agencies”.